Tensions between the United States and Iran escalated to their highest level in years last week, with the two countries exchanging sanctions and countersanctions and accusing each other of sponsoring terrorism. Speaking to Radio Sputnik, Iran expert Dr. Rasool Nafisi said that it may now be up to Moscow to reduce tensions between the two countries. 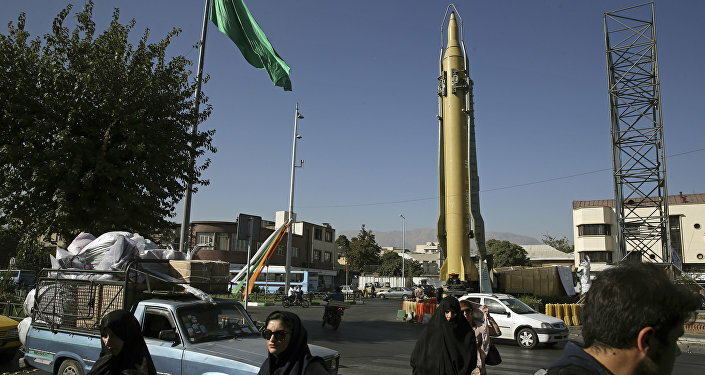 On Friday, the US introduced new sanctions against Iran following the country’s actions, including a recent ballistic missile test. 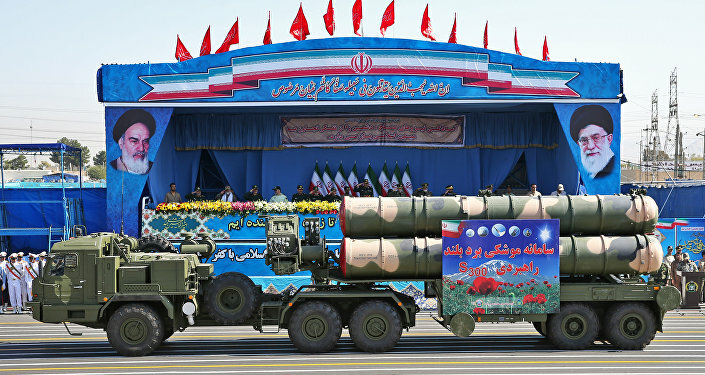 Tehran immediately responded by introducing countersanctions against Washington, and accusing President Donald Trump of violating the 2015 Iran nuclear deal. Moscow signaled that it “regrets” Washington’s sanctions move, defending the Iran nuclear deal and pointing out that Iran’s missile test should not violate the nuclear agreement. “We have communicated this position to the US side too,” Deputy Foreign Minister Sergei Ryabkov said Monday. Presidential spokesman Dmitri Peskov added that Russia disagrees with Trump’s assessment of the Middle Eastern country as the ‘number one terror state’. Speaking to Radio Sputnik about the worrying uptick in tensions between the two countries, Dr. Rasool Nafisi, an Iran expert at Washington D.C.’s Strayer University, said that the US’s sanctions had more of a “symbolic importance” than anything else. “The sanctions [have] of course a symbolic importance to the new president’s supporters. The intention is to satisfy the conservatives and those who are not quite happy with the activities of Iran,” Nafisi said. This makes some sense, Nafisi noted, when accounting for the fact that some of the people in the Trump administration are anti-Iran hawks, particularly National Security Adviser Michael Flynn. “Maybe the intervention of President Putin, especially given the fact that President Trump is keen on fighting Islamic terrorism and ISIS in the Middle East, and that Russia and Iran are actively participating in that kind of fight – this might [result] in some kind of coalition between the US, Iran and Russia, and of course others who are fighting in the region,” Nafisi suggested. On Sunday, the Wall Street Journal reported, citing senior unnamed US officials, that the Trump team was trying to think of ways to ‘drive a wedge’ between Russia and Iran, presumably in the aim of improving relations with Moscow while confronting Iran. Numerous foreign policy analysts from Russia and the US have already commented on the folly of such an idea, given the two countries’ friendly relations and the success of their joint efforts against terrorism in Syria. Commenting on the Wall Street Journal’s story, The American Conservative senior editor Daniel Larison explained that the continued sharp rhetoric coming out of the White House toward Russian partners like Iran and China could end up having a detrimental impact on cooperation with Russia as well.”The US should pursue improved relations with Russia, but it seems unlikely that there will be much improvement if the US is simultaneously becoming more combative with Iran and China,” Larison wrote.